Hey guys, so this particular post is too close to my heart and honestly I have been debating over and over again whether I should post this or not. It means way too much to me and I wrote this when my grandfather was still alive. He passed away because of cancer three months ago and well…yeah I didn’t want to. But I guess this is me being brave and putting forth some of the real things I recently struggled with hoping it helps someone out there. I also want to extend a warm hug to anyone going through cancer too. I hope I do that through posting this piece. You guys can hit me up on mail or DM me on Instagram anytime. I’d love to chat with you. Cancer. That word hit me hard. Like a brick wall to my face. A wall that marks the end of the road with no way around it. Just the wall standing tall in front of me. Cancer A disease with no cure? That is just tragic. This year, someone I love was diagnosed with it and the thing about cancer is that the patient doesn’t suffer alone, the entire family does. Cancer became a full-fledged reality for me. It came to me in waves. The first wave the first being, a chance of him having cancer, I ruled it out. My loved one cannot have cancer. He just cannot. The doctors said there were symptoms of it and I didn’t believe them. Then the second wave came in and they said they were ninety percent sure it was cancer. I denied it. Somehow ten digits of a percent somehow felt a lot bigger than ninety of them. I felt like screaming at the doctors for being so stupid, senseless even. Then the final reports came in and it was there in flesh and ink. It was pancreatic cancer. The fastest growing cancer there is. And the feeling of impending doom crashed upon us. I remember the first time I ever heard of pancreatic cancer. It was in a science class in eighth grade, I remember thinking how unfair it was because this kind of cancer had no symptoms. You go to be checked for fever and realise you are lit up with extra platelets. There are no knocks on the doors, no hushed footsteps or silent warnings. Not until it is too late anyways. My loved on faced cancer bravely. Even when he was suffering he still stood tall and faced the immense pain with courage. He did everything he could to not be dependent on us even during the bad times. He would go out to take walks, talk to us, sing songs with us until he could. He had a strong spirit but his body could not support him. For the first few days after it was over, everything just kept spinning, spinning around too fast. I lost my faith in the universe and everything stopped making sense. It robbed me of my trust, my beliefs and my hopes. I felt like the sky could fall at any moment. Maybe that is what surprises and shocks are about. The funny thing is, whenever I watched a movie and someone suddenly had third stage cancer, I would laugh and think how lousy the story telling was. I mean, how unrealistic was that? What were the chances of something like that ever happening in real life? A one in a million chance, apparently, yet it happened to him and the lousy storytelling became a reality for me. I always appreciated the small moments, the little times, I always clicked a lot of random pictures and I always loved him. But everything feels small and less now. You can give me two years with him yet I would still find it insufficient. I would find it less to get annoyed at him for worrying and it’ll be less for me to listen to the same stories again and again. I will find it less, too less. I guess, I just always imagined him to be there. I don’t know, I always thought he was immortal. That he would see me grow up, be on my own, that someday I will take care of him. It never occurred to me that he can be gone. That anything can really happen to him. But then who does? Who wants to think about losing when you are somehow surviving through the rest of the things. I feel helpless, I feel burnt out, I feel like everything is sucked out of me. Cancer. That word still hits me hard. I wish it was nothing more than just my zodiac sign. But slowly, very slowly, I’ve started to heal. It’s started getting better. I am accepting it a little by little. Writing helps me heal. It wasn’t easy but it has gotten better or maybe I got stronger. I don’t really know. There is nothing but love for him in my heart and I hope he is happy now where ever he is. In my mind, he is smiling upon us from somewhere above, peaceful in his favourite white trousers. And I know he’d want nothing more than for us to look up and smile for him. If any of you are going through something similar, hold on. It will get over. Trust me. It will get better. I’m sorry to hear about your grandfather’s illness. Cancer has no mercy. I’m sorry for your loss. My aunt passed away from pancreatic cancer and she too is missed. I completely agree. Cancer is rather merciless. More so in the way it kills…the hopelessness of it all is just terrifying. May your aunt rest in peace. Sorry to hear about this. Cancer is not a work in the park. I am a survivor. Lost my adoptive mother to pancreatic cancer on Memorial Day. I miss her still. Nasty nasty disease. I am forever thankful I spent every moment with her. Thanks for this. And know that I hear you and most of all I feel you. I’m so sorry for your loss, im currently struggling with cancer too and want to help people who is starting with chemo to survive and never give up. May God hold u tonight, your grandpa is in a better place now ❤ and will always be in your heart. May his soul rest in peace . Sorry for painful lose . Beautiful post! My sister recently died from breast cancer and coping with her death is so difficult. I’m so sorry about your loss. I can totally relate to what you’re feeling. Just know that God is with the ones we lost and he is taking great care of them in heaven. They are smiling from above and will be in our hearts forever. Check out my blog dedicated to my sister. ~~~Keeping you in my prayers! Sorry for your loss, got teary eyed on your post. Love my grandpa dearly and can relate to you post. God bless you! Sorry for your loss. Cancer has taken too many lives. Cancer is definitely a scary reality. It surely is. Thank you for your condolences. I am sorry to know about your grandpa’s demise. My family has seen two cancer patients already and their tragic suffering and how they breath their last. I understand how difficult it gets with someone or someone’s close one having cancer. May God give you all strength and make you cherish the good times you had with your grandpa. Oh my, two? I am so sorry to hear that. It must be really difficult. With cancer, the suffering of your loved ones is what really makes it soo….nightmarish. thank you, God was certainly with my during those times and even now. Thank you. 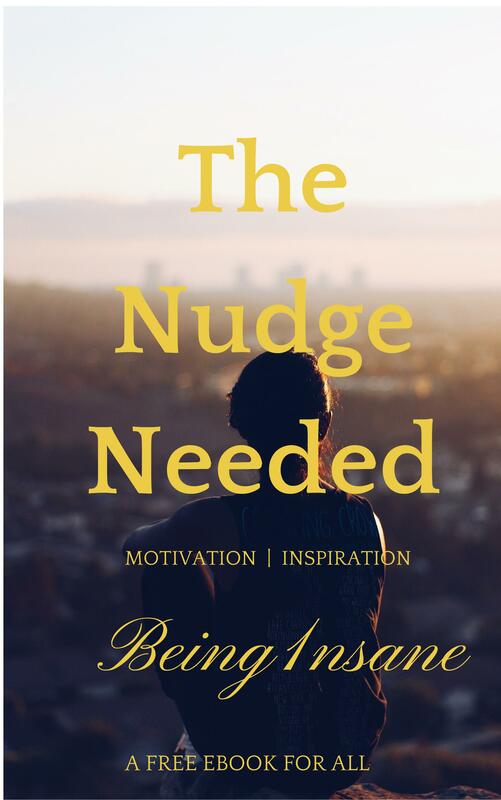 Don’t forget to take your Free Ebook! Why not become an 1nsaniac! No, we don't like spams either. Don't miss out on our Instagram! Whats going on, on Facebook?? 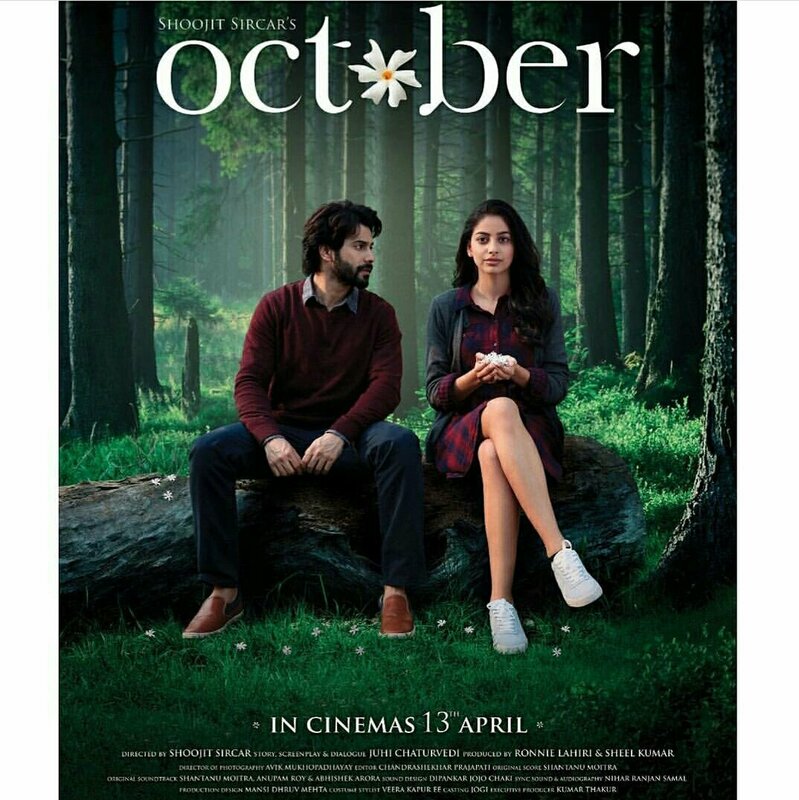 A review of the bollywood movie October which casts Varun Dhawan and Banita Sandhu. Is directer by Shoojit Sircar. A short poem about finally growing up and understanding that the cliches of the world aren’t actual realities. How loving yourself is alot more important than finding someone to love you. And about saving yourself. A letter to a best friend who is leaving and going to abroad, by a girl that struggles to let he best friend go. A relatable conversation between the heart, brain and soul of a heartbroken girl. With romance and love.